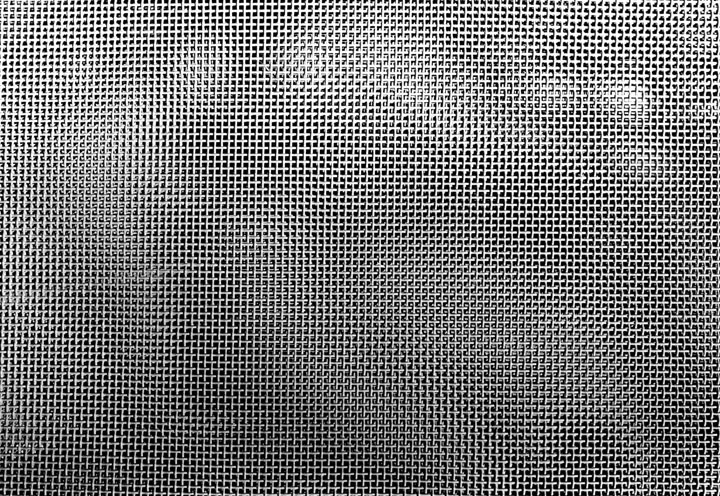 A grid mesh appears to obscure an image behind it, which frustrates the viewer. This image contributed to the painting search in early 1970’s which attempted to engage visual perception. H: 7 ft. 11 in. x W: 14 in.